Whether imposing historic buildings, small village churches or modern spectacular architecture, churches are often an acoustical challenge. It is therefore important to make the right decision at the beginning of the sound chain with a microphone to produce optimum sound. beyerdynamic with more than 85 years experience can provide microphones for churches for different acoustic spaces and applications. Another increasingly important part of sound systems in churches is the issue of accessibility for hearing- impaired people. Here, too, beyerdynamic has the right solution: Synexis, the mobile audio system. Without complicated routing of induction loops, the hearing-impaired guest simply uses a mobile receiver and chooses between an earphone or an induction loop for the hearing aid and can sit anywhere. Whether concerts, discussion groups or guided tours, beyerdynamic is a leader in equipment such as microphones, conference systems, interpretation technology and tour guide systems. We can suggest solutions for Alter Microphones, Group Microphones, Wireless Microphones, Assistive Listening devises, and Interpretation Systems. 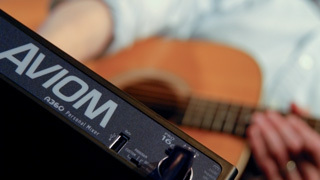 Personal monitors are an effective way to lower on-stage volumes, especially when used in conjunction with other techniques (such as replacing guitar and bass amps with amp modelers and acoustic drums with a good electronic kit). However, personal control over the mix is essential to making in-ears and headphones work for performers and sound their best. In addition, with monitor mixing shifted more to musicians, the tech staff is free to focus substantially more attention on the main front-of-house mix in the sanctuary. The result is more comfortable volumes, better audio fidelity, and an improved worship experience for everyone. MIPRO microphones are the heart of any good house of worship sound system. Large or small, whether you’re reaching out to congregants in attendance or remotely through broadcasts and podcasts, the message has to be heard, loud and clear. From inspirational speakers to praise bands to the choir to cry rooms every House of Worship has a common goal to be heard clearly. MIPRO brands of microphones offer an extensive choice of wired and wireless microphone systems that provide the audio performance, value and confidence needed to meet the requirements of any House of Worship application. Ask us about the ACT-747 Quad-Channel True Diversity Receiver and the MU-53LS Uni-Directional Lavalier Microphone, an international standard in houses of worship around the world. A mixer designed from the ground up for the house of worship. The Peavey Sanctuary Series is a breakthrough group of mixers specifically designed to make pro quality audio easy and cost-effective for houses of worship. Peavey knows that churches and other worship centers frequently cannot afford to hire an experienced sound technician. So they put their design team to work creating a mixer that can quite literally do most of the work all by themselves. For instance, the Sanctuary Series S-32 is a 32-channel mixer designed with several unique, user-friendly features to simplify operation. Peavey-exclusive technologies such as Automix, Auto Delay and Mid-Morph EQ allow any church leader or layperson to use this mixer with confidence. Ask us about all the solutions and more at: info@technicontact.com or toll free: 1-866-320-9451.